A study a couple of years ago asked what was more stressful than root canal surgery. The answer? Finding a job. 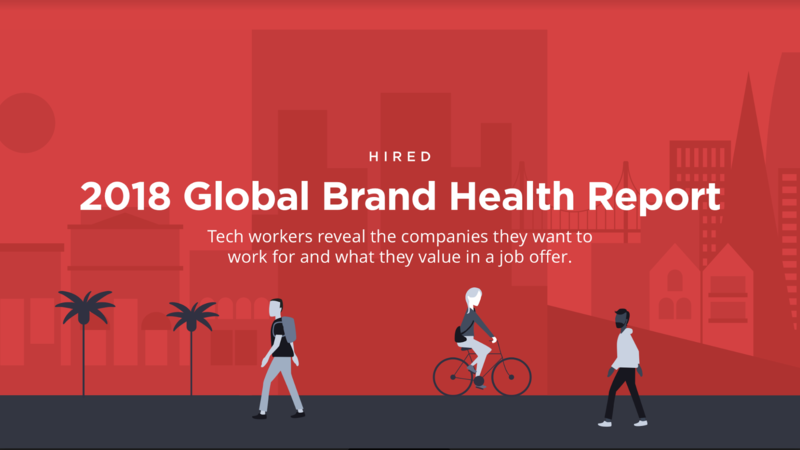 But at Hired we believe greater transparency can remove much of that stress, a large part of which is caused by uncertainty around what salary you should be asking for, which benefits you should expect or which roles and industries are most lucrative. Despite some high-profile news stories about pay inequality like the recent resignation of BBC China editor Carrie Gracie, candid conversations about pay are still seen as taboo in many cases. In light of that, we release regular data to arm candidates with the knowledge they need to get paid what they’re worth.  Here at Hired, we facilitate the job search from initial interview request all the way to final job offer, which gives us unprecedented visibility into salaries across a variety of roles and companies. For this report, our data team focused on technology workers in 13 cities. The salaries analyzed reflect more than 420,000 interview requests facilitated through our marketplace of more than 10,000 participating companies and 69,000 job seekers. While there are some positives generally – tech salaries globally have increased 5% since 2016 – this year’s data highlights some potential challenges ahead. Challenges that all organisations, from business to government and educational institutions, need to solve together. The first of those potential problems is the globally uncompetitive nature of UK tech salaries. In fact, average UK tech salaries are among the lowest in the world at £58,000, with France being the only major region where tech workers make less. And even when you factor in the cost of living in different parts of the world, the UK doesn’t fair well. 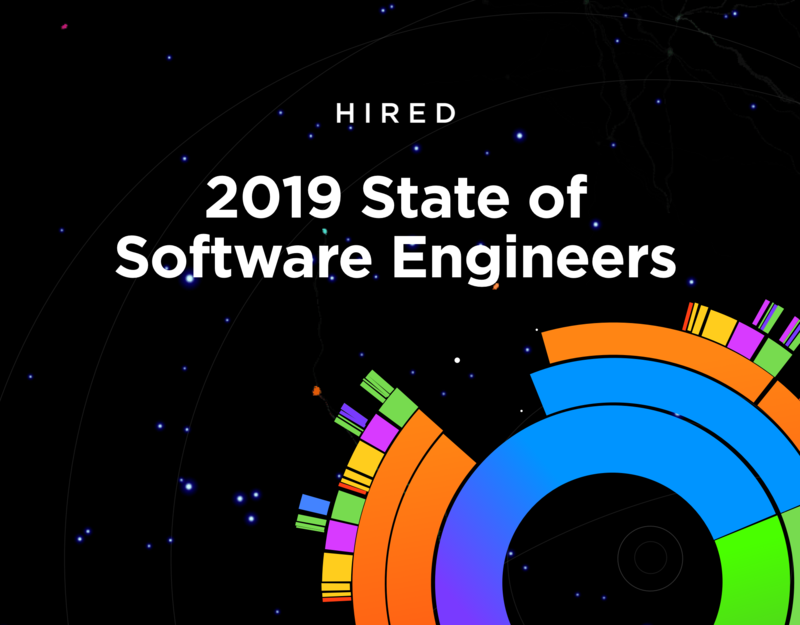 A software engineer in London, for example, can expect to make 42% less than those in San Francisco after local living costs are taken into account and 28% less than those in New York. But perhaps even more concerning is the UK’s stagnated tech salary growth, with pay in this sector only growing 1.24% in the past 12 months – well below the 2.8% UK inflation rate, resulting in a real-terms drop in pay. To put that into context, tech workers in San Francisco and New York enjoyed a 5% increase in the past year. Our report did uncover some positive news for Britain’s younger tech workers: they may be underselling themselves, which means they could be earning more. 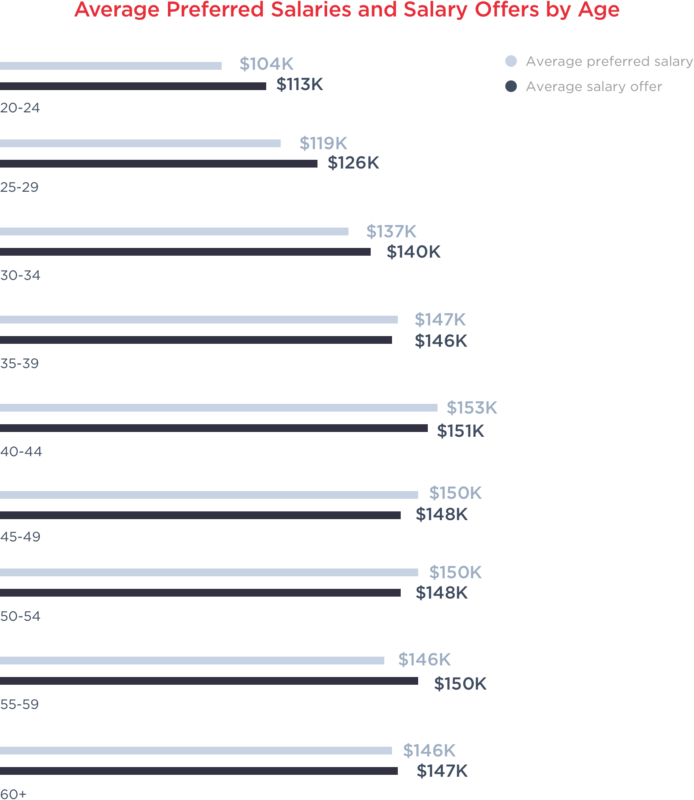 Our data indicates that candidates aged between 20 and 34 tend to ask for significantly lower salaries than the ones they’re ultimately offered, meaning they may not yet understand the level of demand for their skills. Over the age of 35, however, this trend reverses, with candidates being offered a lower salary than the one they asked for. Age generally has an impact on the pay you can command, with tech salaries peaking at £107,000 ($152,000) when people hit their mid-forties. This does decline slightly as people head towards retirement age, however. 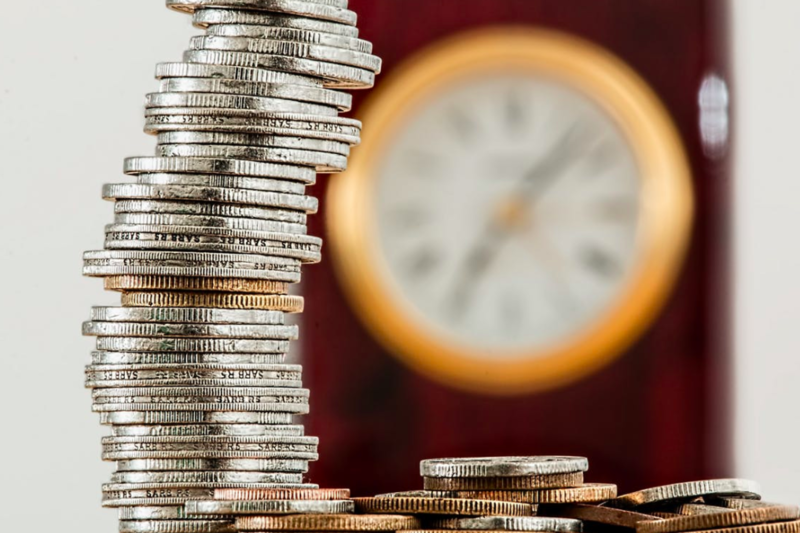 When it comes to getting the pay you deserve, what we say to candidates is this: be sure to arm yourself with salary data specific to your skills and experience before you apply for a new role. That way you can always ask for exactly what you’re worth without having to second-guess. 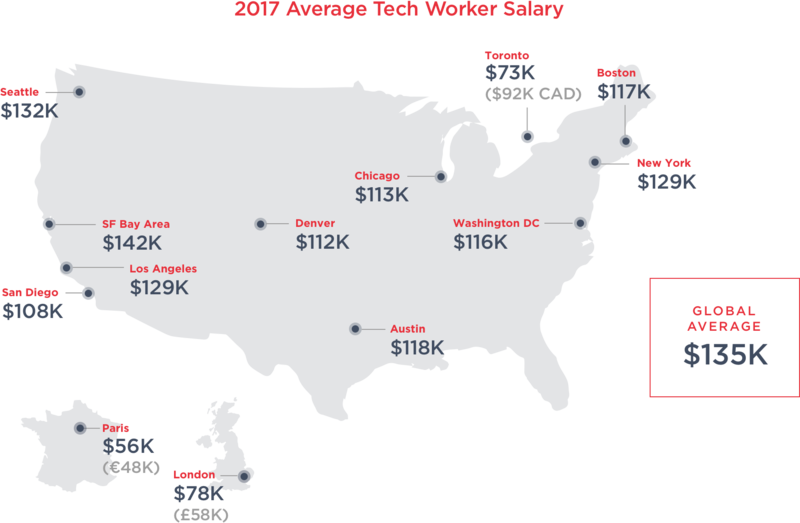 The stagnated salaries we mentioned earlier are no doubt contributing to the second major problem for the UK tech sector: the potential loss of talent to other global markets. Our findings suggest London companies were 7% less likely to be interested in hiring foreign workers in the last 12 months than the previous 12. Brexit has likely had an impact on this. With so much uncertainty around the impact on immigration laws after we exit the European Union and when changes may or may not come into play, companies might be playing it safe until things become clearer. Yet we know many firms are still willing to pay over the odds for foreign tech workers, with candidates being offered an average of a £12,000 pay rise to relocate to Britain. Clearly the UK needs to pay an internationally competitive wage to its tech workers, but all of this presents an opportunity: the sector still has a chance to stem the outward flow of talent, but employers must focus on pay and other factors that would encourage people to work in the UK. Of course, this responsibility shouldn’t only be on the shoulders of private firms. Given the huge contribution the tech sector makes to the UK – digital workers contribute twice as much to the UK economy as non-digital workers – it’s in the government’s interest to help prevent this becoming a bigger problem by making the UK an easier and more appealing place for tech workers to bring their skills. A bright future, but not without challenges. While the UK’s tech sector is still booming relative to the rest of the economy, there is still plenty of work to do if the UK wants to retain its status as a global tech leader. Employers and politicians alike must work together to make Britain a more attractive place to carve out a tech career, particularly in light its exit from the European Union, while candidates must not be afraid to ask for what they’re worth. We hope this report will go some way towards helping them achieve that, and we look forward to sharing more data later in the year. Read the full 2018 State of Salaries Report here.